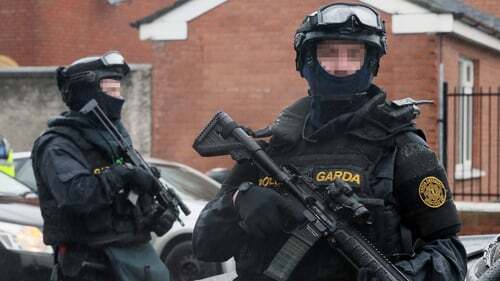 The garda officer in charge of Irish security intelligence has said there are small numbers of international terrorist sympathisers in Ireland, but claims they are being closely monitored. However, Assistant Commissioner Michael O'Sullivan has said families and children returning from conflict zones who have been traumatised by war will be a major issue. Approximately 30 Irish citizens travelled to Iraq and Syria to fight with the Islamic State group. Some of that group are dead and some are missing, while others have moved on to other theatres of war. Mr O’Sullivan was speaking at an Interpol conference in Dublin for senior security and police officers from all over Europe. Secretary General of Interpol Jurgen Stock said that the international terrorist threat is now more complex than ever. He said IS had left 90% of its territories in the Middle East and there are now about 40,000 fighters from 100 countries moving to other areas. Mr Stock said Ireland was not seen as a weak link but a strong contributor to the security of Europe. Mr O'Sullivan also said that the gardaí were concerned about the potential for a lone wolf attack here. Despite this concern, he said they were working closely with the Muslim communities and that the threat level in Ireland was moderate. He said there was evidence that terrorist groups were working with organised crime, which has funded attacks in recent years in Paris and at London Bridge. Mr O’Sullivan also said that he was satisfied with the force’s level of preparedness for such an attack. He said in an incident where a man was wielding an axe on O'Connell Street in Dublin they had responded within four minutes and in another incident where a man was on a DART with an imitation firearm, armed guards had boarded the train, disarmed and arrested him within five minutes.